Weather: October in Toronto can be cool with average daily highs around 65°F and lows around 39°F. Currency: Canadian dollar. Credit cards and travelers checks are accepted widely, and many 24-hour ATMs are available in the area. Visit XE’s Currency Converter for details on current exchange rates. Cell Phone Usage: If you have a phone from the U.S., it should be compatible with Canadian networks. From other countries, you must have a tri-band or quad-band GSM phone or 3G phone supporting 1900Mhz to be compatible. A pay-as-you-go SIM card is approximately $10 from most major networks. If you have an iPhone, you can obtain a SIM card from an Apple Store in Canada. If your phone is compatible, it must be unlocked in order to use a local SIM card. Explore plans from all Canadian service providers. Taxes: The Harmonized Sales Tax (HST) is a 13% tax that is applied to most purchases of taxable supplies of goods and services in the Province of Ontario. The HST consists of a 5% federal portion and an 8% retail sales tax portion. The Intercontinental Toronto Centre is a luxury downtown Toronto hotel of modern sophistication. Experience the vibrant energy of downtown Toronto, when you stay at the 4-diamond InterContinental® Toronto Centre Hotel. Located just steps away from popular attractions like the CN Tower, the Air Canada Centre and the Rogers Centre, the upscale hotel offers the perfect combination of contemporary elegance, luxurious comfort and modern convenience right in the heart of the city. Scroll down for ground transportation from Toronto Pearson International Airport to hotel. Guests of the Filipina Leadership Global Summit receive a FWN special daily room rate of $249 CAD for single/double occupancy. Rate is in Canadian dollars and subject to hotel and local fees and taxes. Rate is subject to a $30 CAD charge for each additional adult over double occupancy, to a maximum of three persons per room. Guests receive IHG points for their stay - provide your IHG# when you reserve your room online. Room amenities include complimentary wired/wireless internet access in guest rooms at no charge (a $13.95 CAD per day savings). Guests will enjoy complimentary access to 24-hour fitness centre, high-tech business centre and a relaxing indoor swimming pool. Experience well-deserved rest and relaxation at The Spa InterContinental, an Aveda concept Spa, featuring soothing massage treatments, a 48 foot saline pool, salt hot tub and a scenic terrace. Check in time is 3pm on the day of arrival. Check out time is 12pm on the day of departure. Early arrivals or late departures may require an additional night's charge. 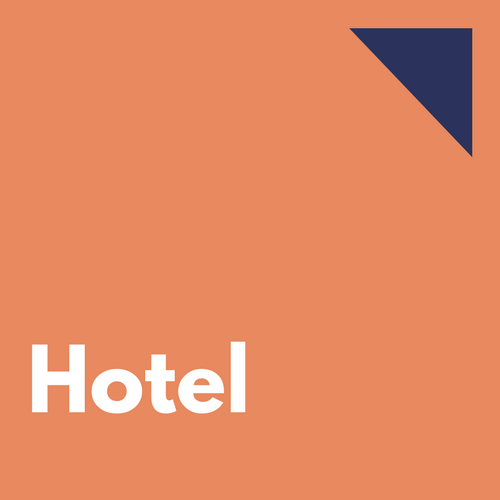 Upon hotel check-in, the hotel will require a credit card or cash deposit for incidental charges. Arriving early or staying after the Summit? The special room rate is available to Summit attendees three (3) days prior and three (3) days after the Summit dates (subject to availability of guest rooms). Make your reservations before Tuesday, 12 September 2017, the cut-off date for the special FWN group rate. October is a high convention season in Toronto so reserve your room NOW. Make your reservations directly with the Intercontinental Toronto Centre through the special reservations link for the Summit at https://aws.passkey.com/go/FilipinaWomensNetwork. You may also call the hotel reservations desk at 1-800-235-4670 or 1-416-597-1400. Identify yourself as a delegate of the 14th Annual Filipina Leadership Global Summit. Room Reservation Policy: Reservations require full prepayment of first night's deposit, at the time of booking. First night's deposit is fully non-refundable/non-transferable. Cancellation of individual guestrooms will be subject to a one night Room and Tax penalty. Requests for early check-in will be subject to availability and may require an early check-in fee. Early departures (from confirmed departure date) may also incur an early departure fee. Please refer to your room reservation confirmation for complete details. Toronto is served by two airports. Toronto Pearson International Airport (YYZ), managed by the Greater Toronto Airport Authority is Canada’s principal airport with travel connections to every continent and ranks among the top 30 world airports in terms of passenger traffic and aircraft movements. Billy Bishop Toronto City Airport (formerly Toronto City Centre Airport) is located on Toronto Island, minutes from the downtown core with links to the city by a short ferry ride and shuttle, and is served by both Porter Airlines and Air Canada. skyteam is the Official Alliance Network for air travel of the 14th Filipina Leadership Global Summit. Our registered Global Meetings event offers you attractive airfares. Take advantage of exclusive discounts up to 15% in both Business and Economy Class. Air Canada is the Official Canadian Airline of the 14th Filipina Leadership Global Summit. Summit attendees will benefit from an instant online registration and enjoy a 10% discount on eligible fares. To book a flight with your promotion code, access aircanada.com and enter your promotion code BPEVRYQ1 in the search panel. This promotion code can be used only on aircanada.com. 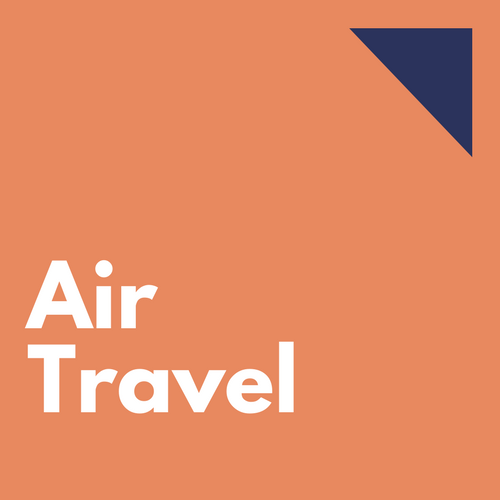 The Meeting special fare DISCOUNT is valid for travel from various origins to Toronto, Canada within Air Canada's extensive North American and international network. The travel period begins Wednesday, October 18, 2017 and ends Sunday, November 05, 2017. Promo discount can apply to Air Canada 4-digit flights operated by Air Canada’s regional partners and Star Alliance carriers (e.g. AC* operated by United Airlines). Open jaw, circle trip, multi-city and interline itineraries are not eligible for this Meeting discount. Filipina Summit delegates from outside Canada should check early with their travel agent or nearest Canadian Embassy or Consulate to be certain that all necessary steps are completed to meet visa requirements. Overseas visitors require a valid passport and may require other documentation such as an entry visa (ask your travel agent). If you have questions about travelling from another country, please check http://www.cic.gc.ca/english/visit/index.asp or the Canadian embassy or consulate nearest to you, or ask your travel agent. This document may be needed to apply for a business visitor visa. If a Letter of Invitation is requested, please contact FWN. Please be informed that you will have to have paid the summit registration fees in advance, confirmed air and hotel reservations, before you will receive the Letter of Invitation. These documents [paid summit registration, air and hotel confirmations, and Letter of Invitation] may be required for attachment for a business visitor visa application. As Visa requirements can take several weeks, Letters of Invitation will only be arranged until 31 August 2017. Letters of Invitation requested after 31 August 2017 cannot be provided unless waived by the FWN CEO or appropriate FWN Officer. For all modes of entry, the Canada Border Services Agency (CBSA) recommends you carry a valid passport. A passport may be required by your airline or transportation authority. If you are a United States citizen, be sure to carry proof of citizenship, such as a passport, along with photo identification. If you are a permanent U.S. resident, carry proof of your status such as a U.S. Permanent Resident Card. All visitors arriving from or transiting through the United States are encouraged to visit the U.S. Customs and Border Protection website for information concerning the U.S. Western Hemisphere Travel Initiative and requirements to enter or return to the United States. Starting March 15, 2016, visa-exempt foreign nationals who fly to or transit through Canada will need an Electronic Travel Authorization (eTA). Check to find out if you need an eTA or a visitor visa. Citizens of most countries will be required to apply for and obtain an eTA. The application is available in multiple languages. To attend the Filipina Summit, we recommend you apply as a business visitor. For more information entry/exit requirements, see the SEVIS website for frequently asked questions about re-entry with a student visa. a legal document proving that the child has the permission of the lawful parent(s) or guardian(s) to travel and includes contact phone information for the parent(s) or guardian(s). Such a document must be specific for each trip. Normally, people who are inadmissible to Canada will not be allowed to enter. A temporary resident permit may be issued if a valid reason for travel to Canada is found. People who have been convicted of driving while impaired by alcohol or drugs may be found criminally inadmissible to Canada. Toronto Pearson International Airport (YYZ) is 26 km (16 miles) to the InterContinental Toronto Centre hotel at 225 Front Street West. Get driving directions. Train: Union Pearson (UP) Express offers express train service from Pearson International Airport at (Terminal 1) every 15 minutes to Union Station, located 1 block East of the Intercontinental Toronto. With only 25 minutes travel time, it is the fastest way to travel between the Airport and downtown Toronto. https://www.upexpress.com/ Cost one way ticket: Adult/Student - CAD $12; Senior CAD $6. 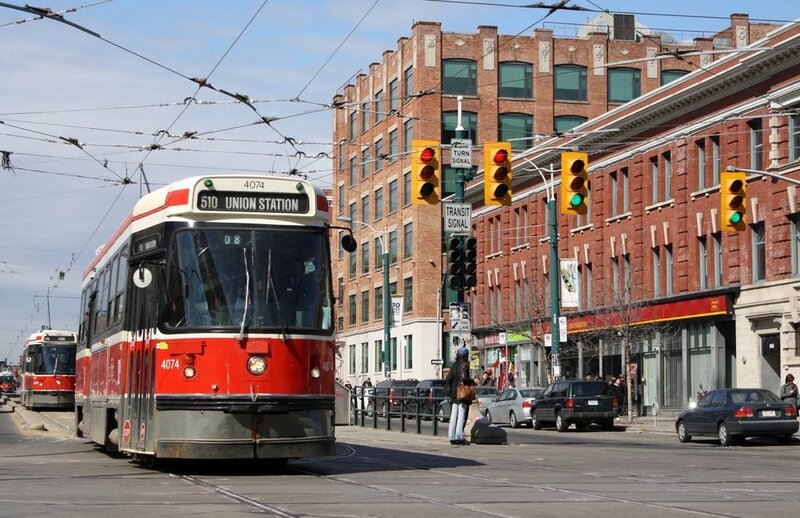 Explore Toronto on one of North America’s finest transportation systems – the Toronto Transit Commission (TTC). With easy-to-navigate subways, buses and streetcars, getting around the city is a snap. When using the TTC a single fare will take you anywhere in the city on a one way trip. You can freely transfer between subways, streetcars and buses, but make sure you obtain a transfer when and where you pay your fare. On buses and streetcars, exact change is required. Take charge of your travel needs by consulting The Canadian Travel Agencies guide for those with special requirements. For accessibility standards in Ontario, please visit CWDO.org. Accessibility is a prime objective of business establishments, sporting events, entertainment venues and public transportation in the Toronto region. For details about the accessibility of specific attractions (e.g. Art Gallery of Ontario), please check each organization’s website for information. 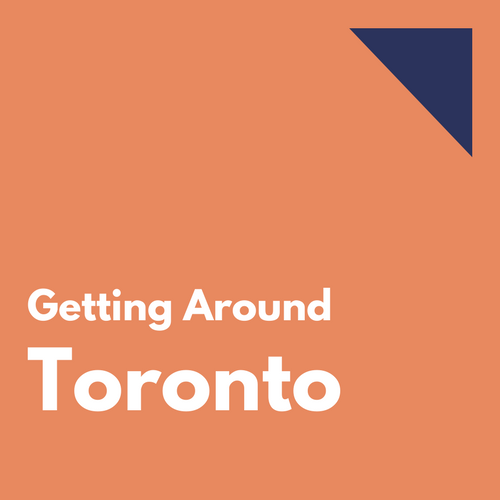 AccessTO – a blog-based website for reviews of the physical environments in Toronto including restaurants, bars and concert venues. Rick Hansen Foundation – Planat is an online tool that allows you to view and rate the accessibility of places worldwide, including many Toronto venues. City of Toronto – includes info about beaches and pools. Government of Ontario – a range of information about legislation and accessibility plans. PATH (PDF) is downtown Toronto’s underground walkway linking 27 kilometres (16 miles) of subterranean shopping, services and entertainment. Follow the brightly coloured PATH signs and you’ll reach your downtown destination easily in weatherproof comfort.